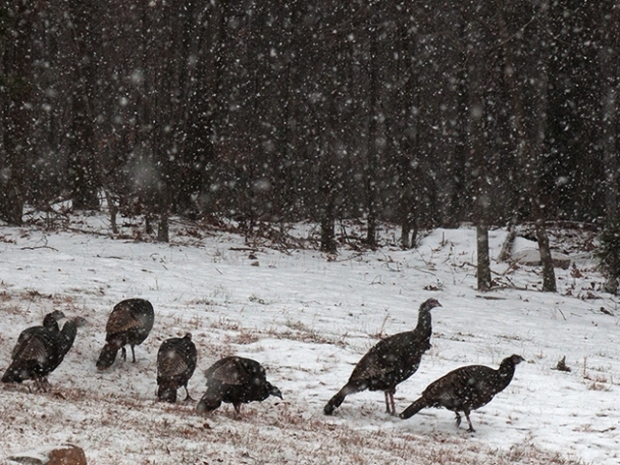 The storm that gave Atlanta residents a white Christmas is heading for the DMV. NBC4 meteorologist Kim Martucci said that the bulk of the snow is staying towards the coast. The storm's "snow shield" is lining up north and south along Interstate 95. East of the interstate, accumulations could rapidly grow between 2 p.m. and 8 p.m. Sunday night. The District, on the edge of the snow shield, is not under threat of heavy totals. Regions west of the Beltway may not see any snow at all. The National Weather Service downgraded the Washington D.C. area from Winter Storm Warning to Winter Storm Advisory. Wind gusts are still predicted, possibly reaching 30 mph. Very strong winds could develop during the afternoon, making travel treacherous for those leaving or returning after the holiday weekend. In the District, streets were salted down Saturday evening in anticipation of the coming front. Two hundreds plows, salt trucks, and other emergency vehicles have been put on stand-by. The storm has already dropped powder in the south, giving Atlanta its first measurable accumulation of snow on Christmas in over 100 years. The North Carolina Highway Patrol reported that roads around Asheville were partially or completely covered by snow and ice on Saturday evening. Philadelphia, Delaware, and New York City are in for the worst of it. The National Weather Service has issued a blizzard warning for the New York City area, with possible snow falls of 11-16 inches, and 40 - 60 mph wind gusts. Airlines have cancelled flights departing from Newark, New York, Philadelphia, and Boston. 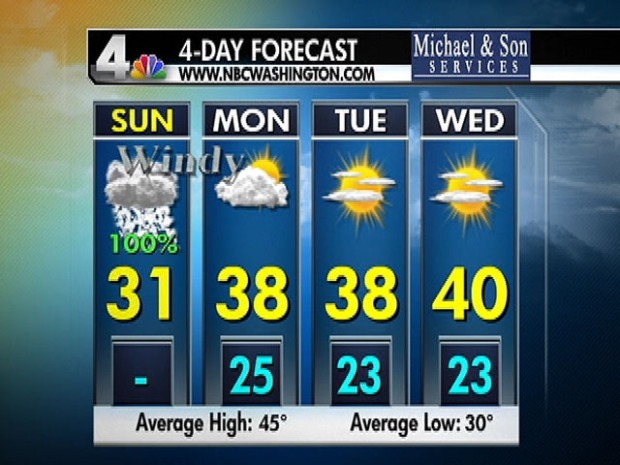 Check back with NBC4 for the latest updates on the winter weather.